Despite ongoing financial pressures arising from a sluggish worldwide economy, it seems that most multinationals are expecting to increase their global manpower footprint. A Global Talent Mobility Survey from Towers Watson shows that many global businesses are expecting to increase their international assignments through 2014. But, not only are international assignments on the rise, assignment destinations are changing too – according to a survey by Weichert Relocation Resources – Global Mobility Trends 2011 – which has noted sharp increases in international assignments to new BRIC locations: Brazil, Russia, India and China, which bring their own unique challenges for relocation professionals and are considered the four most difficult places for international assignees to adjust too. This presents a new and exciting resourcing challenge for recruiters who may now find themselves facing a surge in requests to find international assignees to travel to locations such as Russia, Brazil, China and India—places that, until recently, have not really been on the corporate relocation map. Recruiters will be charged with finding potential assignees who are willing to relocate to these locations but who also have the ability to adapt to the new environment, perform well and see out the assignment. 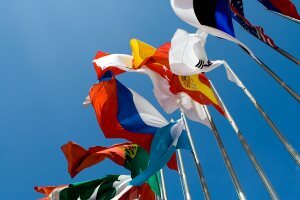 These are the unique and pressing challenges that are forecast to be facing many multinational recruiters over the coming months and to support these potential international hiring endeavors. I have researched and outlined several key considerations for recruiters when hiring international assignees. Research from Kelly Global Workforces Index tells us that only one-third of people would be willing to move to another country or continent for the right job – so most of the marketplace may be reluctant to go abroad. However, what may be of interest to recruiters is the finding that Gen Y applicants are more willing to move internationally then Generation X and Baby Boomers. So, while of course we recommend that all generations are given the opportunity to be considered for these assignments, we suggest that where possible, you make a special effort to target Gen Y candidates, as you are more likely to find willing international assignees. The length of a potential assignment has a strong bearing on the attractiveness of that assignment to potential candidates. The Kelly Global Workforces Survey has found that nearly 60 percent of those surveyed are prepared to stay up to three years, making three years the ideal assignment length in terms of attractiveness to candidates. If you are recruiting for longer term assignments, expect the search to be longer and you may also need to offer more incentives as you will have a smaller and less willing candidate pool. With the increase in internal assignments to unfamiliar destinations, offering cross-cultural training to assignee and family will be a crucial attraction and retention tool. In fact, the Brookfields GRS 2011 Global Location Trends Survey indicates that 74 percent of businesses offer cross-cultural training and with 85 percent of those receiving training, rating it as having good or great value. Also, 49 percent of employers offer cross-cultural training to the whole family, which is crucial as the main challenges cited by international assignees were partner assistance, family adjustment and children’s education. Sixty percent of those surveyed in the International Survey of Expatriate Spouses said they would be “unlikely to relocate to a country where it was difficult for their spouse to work.” Therefore, if you can offer some kind of tangible spousal job seeking support you will be able to attract more international assignees and potentially retain them for longer. Make use of the HSBC Global Expat Explorer Tool. This survey ranks countries based on economic, social, cultural and family friendliness. Singapore and Hong Kong were the top two destinations for families, Thailand and Singapore were the top two for singles, whereas Saudi Arabia and Egypt were the top two destinations if you simply want to make a lot of money. It is important to bear all these factors in mind as they can form persuasive arguments when trying to persuade candidates to consider assignments to certain destinations. Recruiters should also bear in mind that a massive 82 percent of companies keep their traditional short-term expatriates (which is 90 percent of all assignees) on their home country remuneration plan. Adopting this approach is the norm and will be very much expected by potential international assignees. In fact, good salary and good terms of employment make up two of the top three reasons why people choose to work abroad. Location of the company, e.g. city, only ranks 10th, which is surprising to me. The Towers Watson Global Talent Mobility Study found that well over two-thirds of Europe and U.S. headquartered offer relocation support, so it’s crucial that your package contains this if you are to attract talent.